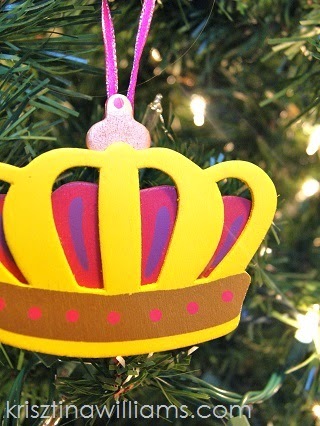 These DIY princess christmas ornaments are so easy to make, and they each cost under $1.00. I simply used prepainted wooden cutouts from the craft store. 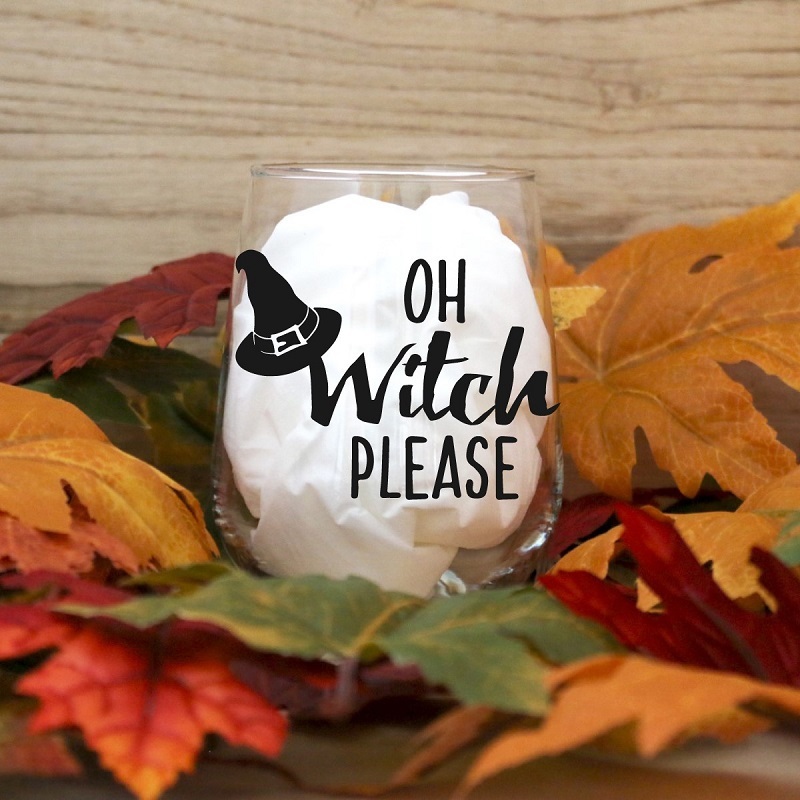 You can get them unpainted for a Christmas craft project for kids, or you can purchase them prepainted like the ones I used. These wooden cutouts come in so many different styles and colors, like sailboats, animals, hearts and more. 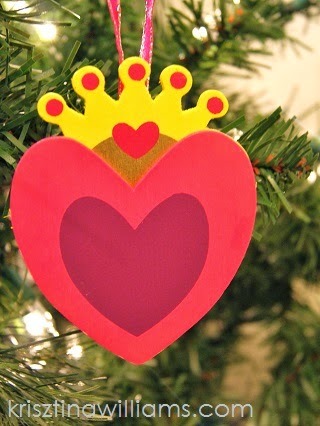 Using wooden cutouts to creat DIY ornament makes it easy to create a themed tree for a child's room. Use your hot glue gun to place a generous amout (about half a dime size) of glue to the back of the wooden cutout at the top center. Cut the ribbon into 6-inch strips. Taking both end together, pull the ribbon into a loop then place the ends down onto the hot glue. Use a pen or something to press the ribbon down into the glue then top the ribbon with aother dot of hot glue. Leave ornament upside down for a few minutes to dry completely. 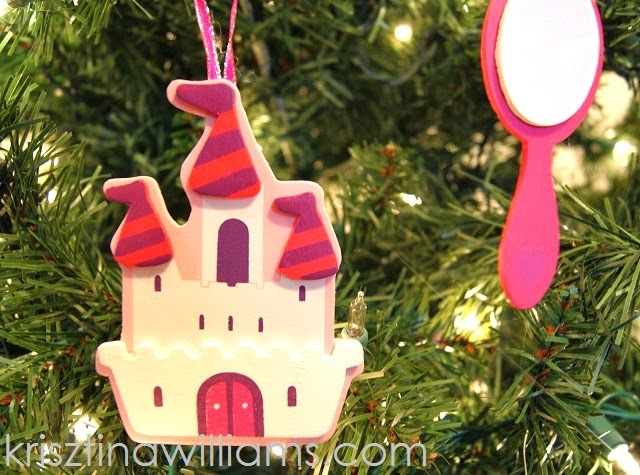 The glue dries quickly, so you need to do one ornament at a time. It's that easy. 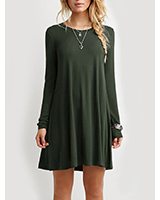 You can make these in any number of styles and color schemes. For more of a DIY keepsake ornament or simply for a fun Christmas craft, you can get these wooden cut-outs unfinished and let your child paint them his or herself before you attach the ribbon.